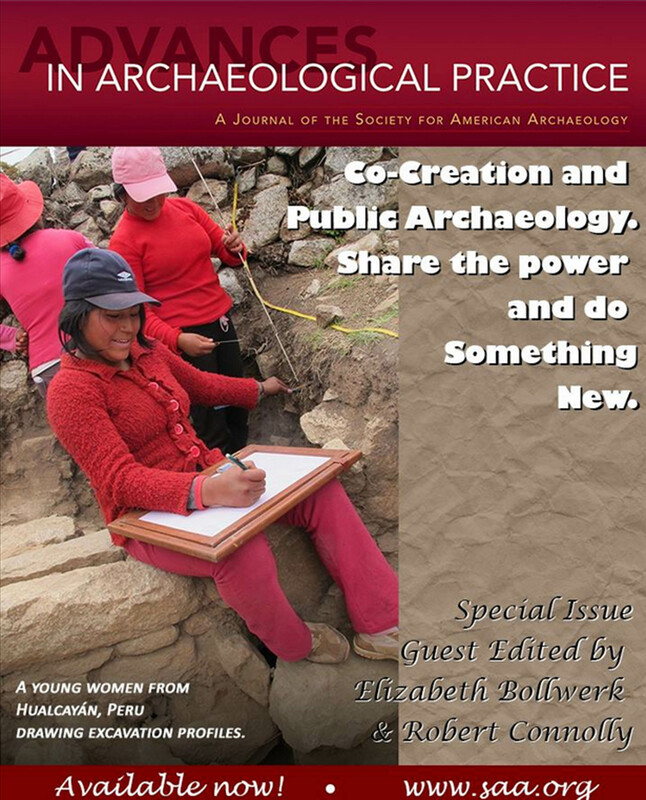 In August of this year my colleague Elizabeth Bollwerk and I published a special thematic issue of the Society for American Archaeology’s Advances in Archaeological Practice titled Co-Creation and Public Archaeology. The practice of co-creation has proven a guiding force in my professional practice over the past few years. I initially came across the concept in Nina Simon’s synthesis and elaboration of an ongoing discussion in the museum community over the past couple of decades. Since that time I have developed my own understanding of the co-creative practice that prioritizes addressing the community’s expressed needs. In 2012, along with Natalye Tate, Elizabeth and I co-edited a volume of Museums and Social Issues on the co-creative theme. As someone who has worked as an archaeologist for the better part of my professional career, I am very pleased with the publication of this new peer-reviewed volume on the subject of co-creation by a leading organization of professional archaeologists in the United States. I believe an application of the co-creative practice will be key to the future of the discipline. Below is the abstract to the Introduction Elizabeth and I co-authored with a true leader in the field of public archaeology, Carol McDavid. This paper serves a dual purpose. First it is an introduction that aims to frame a set of papers that describe and discuss the process of co-creation in a variety of archaeological projects. We discuss the challenge of community engagement in public archaeology and offer co-creative practice as a method for improving our relationships with descendant communities and the general public. We begin by providing a definition of public archaeology and a brief overview of its evolution over the last few decades. Second, we discuss co-creation’s origins and utilization in the museum and business sectors, where the process is applied to address challenges similar to those archaeologists face. We then demonstrate how co-creation fits into the public/applied archaeological framework. We argue that co-creation must be both co (that is, share power in some way) and creative (that is, not just do the same things better, but do something new). Within this framework, we discuss how co-creation aligns with and informs current trends in public archaeology practice drawing from the case studies included in this issue. We conclude that co-creation has an important place on the collaborative continuum and can help our discipline become more responsive to the needs of our many publics. And here is the table of contents for the volume that includes studies from throughout the Americas. I hope that you will find these articles helpful as you go about your professional practice. Survivance Stories, Co-Creation, and a Participatory Model at the Mashantucket Pequot Museum and Research Center pp. 198-207. Kimberly Kasper and Russell G. Handsman. Making the Past Relevant Co-Creative Approaches to Heritage Preservation and Community Development at Hualcayán, Ancash, Peru pp. 208-222. Rebecca E. Bria and Elizabeth K. Cruzado Carranza. Co-Creation’s Role in Digital Public Archaeology pp. 223-234. Elizabeth Bollwerk. Promoting a More Interactive Public Archaeology Archaeological Visualization and Reflexivity through Virtual Artifact Curation pp. 235-248. Bernard K. Means. Co-Creation of Knowledge by the Hopi Tribe and Archaeologists pp. 249-262. T. J. Ferguson, Stewart B. Koyiyumptewa, and Maren P. Hopkins. Sleeping with the “Enemy” Metal Detecting Hobbyists and Archaeologists pp. 263-274. Matthew Reeves. Cemeteries as Participatory Museums: The Cemetery Resource Protection Training Program across Florida pp. 275-290. Sarah E. Miller. Building Capacity for Co-Created Digital Moviemaking through Youth Programs pp. 291-300. Teresa S. Moyer. 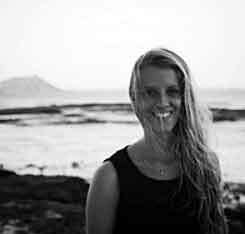 Fleur Shinning from Leiden University in the Netherlands is conducting graduate research focused on the use of blogs and social media and how they contribute to the accessibility of archaeology. 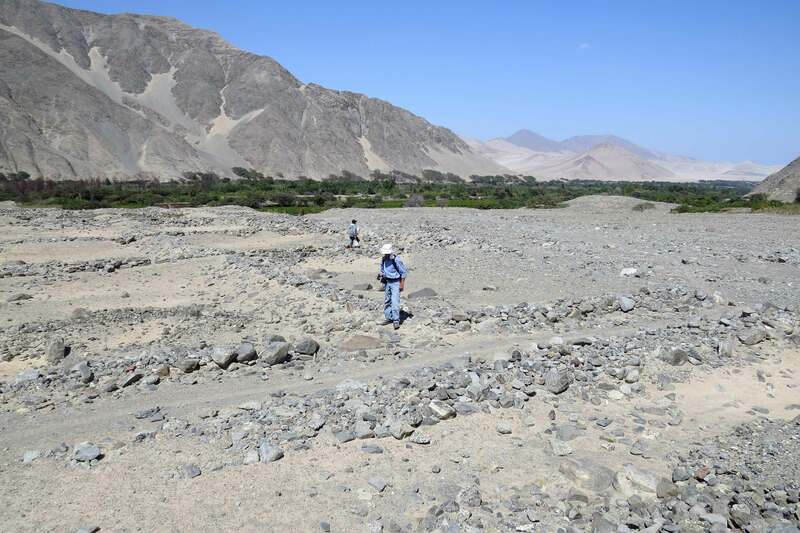 Her intended result of the project is to make archaeology more accessible to a wider public. She is soliciting input for her research in the form of a survey from readers of several blogs in the UK and USA. The survey is well-organized, reasonably painless, and can be completed in less than 10 minutes. I encourage you to click on this link and complete the survey, with the possible payoff of winning a subscription to Archaeology magazine and knowing that you are contributing to a project that focuses on expanding public access to archaeology. 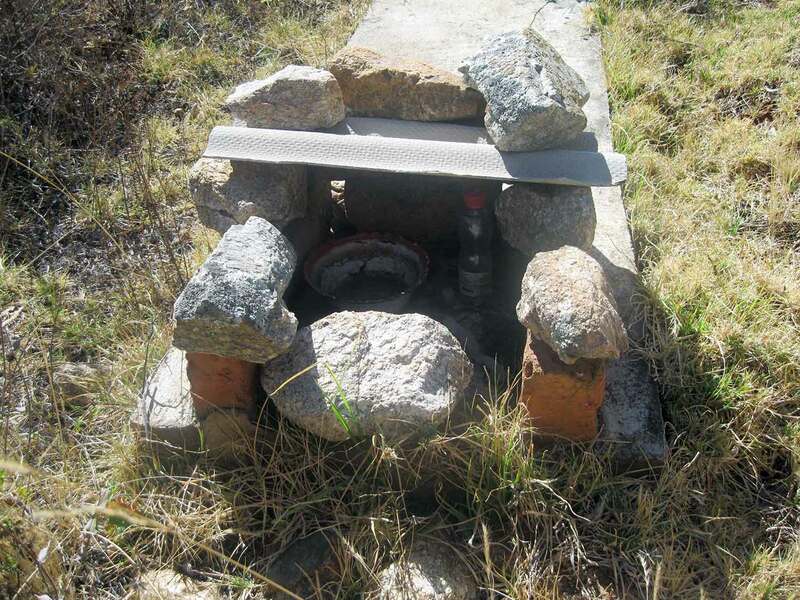 At the modern cemetery in Hualcayán, Peru, food and drink offerings are made to the deceased as in the prehistoric period at the site. As a blue-collar kid, I grew up a trade union activist, believing that I had the vision for what the workers of the world needed. However, I was told more than once that all of my book-learning and vision might be great for speeches, but there was also the need for the real world bettering of lives, today – perhaps one of the reasons I ended up an applied anthropologist. In 1990 I quit my industrial job and became a non-traditional higher education student, ultimately earning a doctorate in anthropology, then working as an archaeologist, college professor, and museum professional. I am pleased at how lessons I learned early in life transferred well to my postgraduate career. In the same way I got my comeuppance as a trade union activist in the 1970s and 80s, I vividly recall as the Director of the C.H. Nash Museum at Chucalissa in Southwest Memphis, US, attending a neighborhood meeting in 2008 and being told “Don’t tell me what your university is going to do for my community. The last time you were here for two years doing your research and all we got was a map on the wall.” Through my earlier life experiences, I came to appreciate that community outreach at Chucalissa could not be based on what I believed the community needed, but must start from the listening to the expressed needs and interests of the community. Nina Simon popularized this understanding of co-creation in the Participatory Museum. My colleague Carol McDavid traced this co-creation concept back to marketing strategies in the 1980s. This August, Co-Creation and the Archaeological Record, co-edited by Elizabeth Bollwerk and I, will be published as a thematic issue of the Society for American Archaeology’s Advances in Archaeological Practice. The issue contains a dozen papers, including one by Carol, that explores the background and presents archaeological case studies of co-creation. The volume includes my article that discusses how a co-creative approach transformed Chucalissa’s relationship with the surrounding community. A highlight of the transformation was the creation of an African-American Cultural Heritage exhibit based on a community expressed need. The 2010 exhibit was co-created with nine area high school students. This summer students from Freedom Prep Charter School, just down the road from the Museum are updating the exhibit created by their peers five years ago. 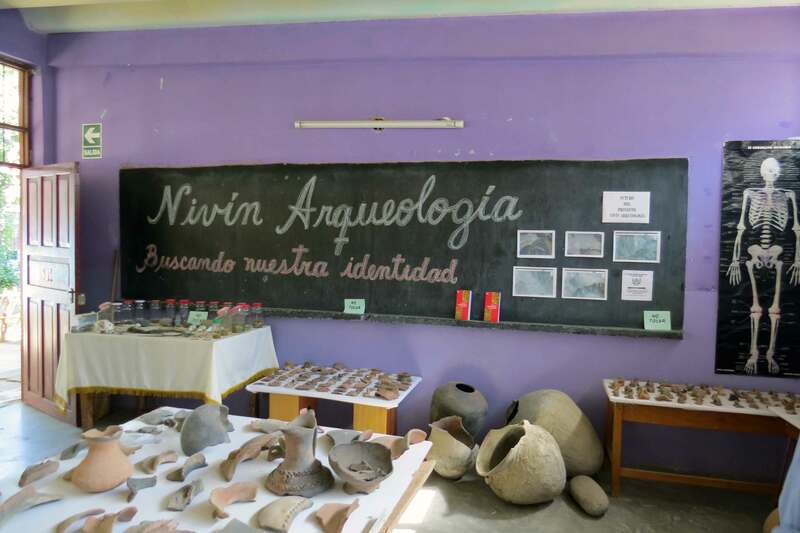 In the same issue of Advances in Archaeological Practice my colleagues Rebecca Bria and Elizabeth Cruzado Carranza report on their multi-year move toward greater co-creation in the activities of the organization they co-direct Proyecto de Investigación Arqueológico Regional Ancash (PIARA) in Hualcayán, Peru. For the past three years I have worked with Rebecca and Elizabeth on these co-creative projects. (In fact, I write this post at 10,000 ft in the 400 person village of Hualcayán.) 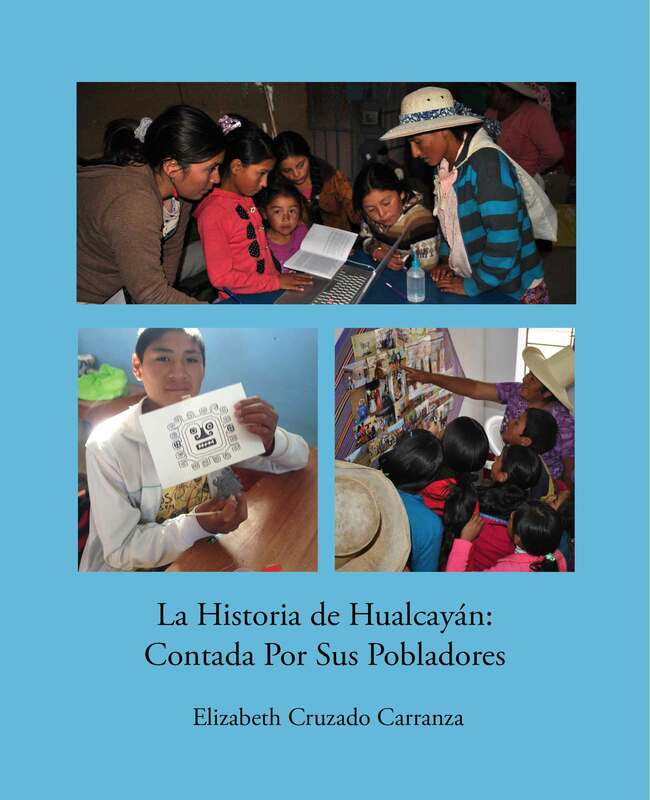 An example of this co-creation will occur on July 28, Independence Day in Peru, when the community will receive 100 copies of the La Historia de Hualcayán: Contada Por Sus Pobladores. The 50-page book by Elizabeth is based on a co-created oral history project launched last summer. I have posted before about the origins of that oral history project. Eli and I met with Leodan Abando Alejo Valerio this past week to deliver advance copies of the book. As discussed in that earlier post, Leodan is ultimately responsible for the project. 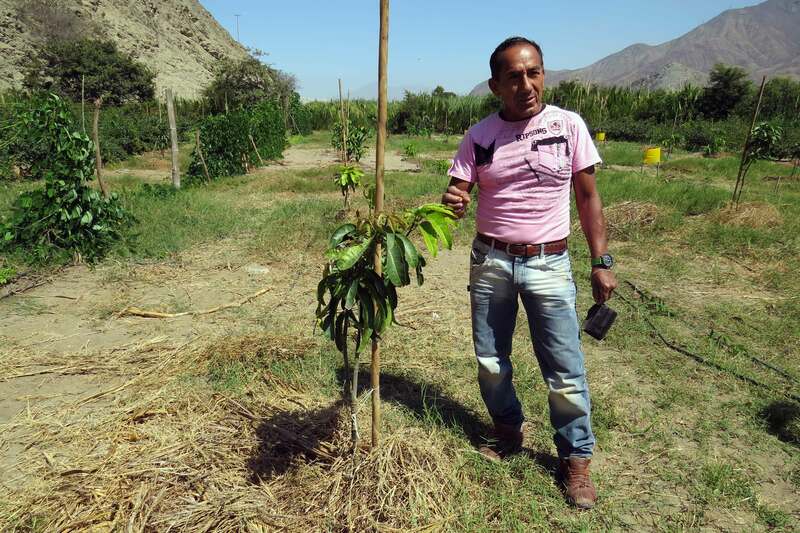 He was very pleased with the book and had a half-dozen projects in mind he wanted to work on in other small villages of the Huaylas Province. First, he wants to repeat the oral history book project in Huallanca the nearby small village where he is now assigned to teach. We agreed to play the same role as we did for the Hualcayán volume. 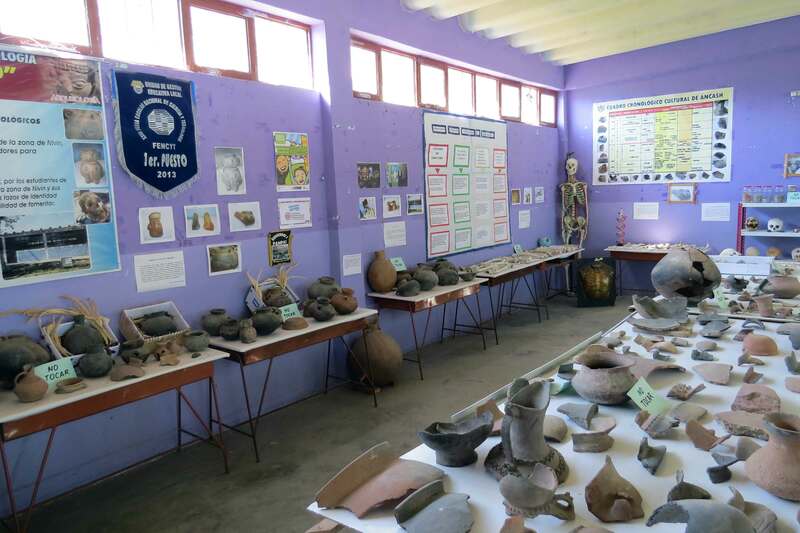 What does all of this co-creation have to do with archaeology at sites like Chucalissa and Hualcayán? I am completely convinced that all folks value knowing their past. For example, the boom in ancestry.com and genealogical research in general support this statement. In Southwest Memphis, at the annual Veterans Day events we host at Chucalissa, current and deceased area residents dating back to World War II are prominently featured on banner exhibits honoring their military service. This is a big deal as I have posted about before. As well, when I showed a Southwest Memphis community leader the mock-up of the Hualcayán oral history volume and noted that the students at Freedom Prep summer camps could launch a similar project, he enthusiastically approved – as did the Freedom Prep students and school administrators. In the same way, both Leodan and President Hueza see the oral history book as a central piece of a July 28th Independence Day celebration and a reclamation of Hualcayán history. Such projects, based in an applied anthropology/archaeology provide a ready link for demonstrating the true cultural value of the archaeological record, and counter the PBS Antique Roadshow formula of “Is it real, how old is it, and how much is it worth.” In Southwest Memphis, the link extends to the remnants of a 1930s African-American Civilian Conservation Corps camp responsible for discovering the Chucalissa in the modern era. The remnants are located at the adjacent T.O. Fuller State Park. The link is also made in the current drive to reclaim abandoned historic cemeteries in the Southwest Memphis community. In Hualcayán, a link is formed from the modern community’s cultural heritage to the archaeological site with 4000 years of human occupation. 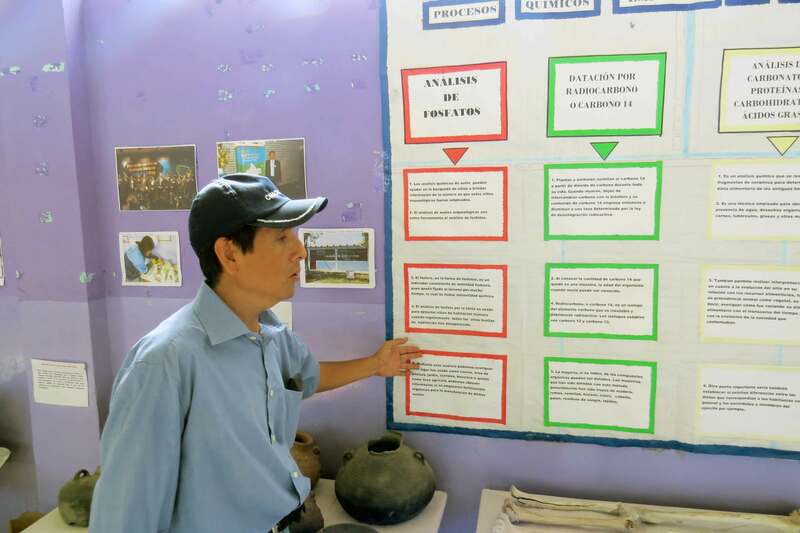 When we met with the Hualcayán President he noted that it was good the oral history book was not linked directly to archaeological research that can be contentious because of land access and preservation concerns. While seemingly at odds with archaeological research interests, I believe the President’s comments actually provide an opening for dialogue about the link between the modern and prehistoric periods. PIARA excels in this approach, sponsoring pop-up museums, site tours, a library, and opening a community museum. All of these projects continue to take on an increased co-creative component. Co-creation allows for projects that truly meet the needs and interests of all participants and show the value of cultural heritage. There is room for growth and attitude adjustments from both the archaeologists and the neighborhood communities. 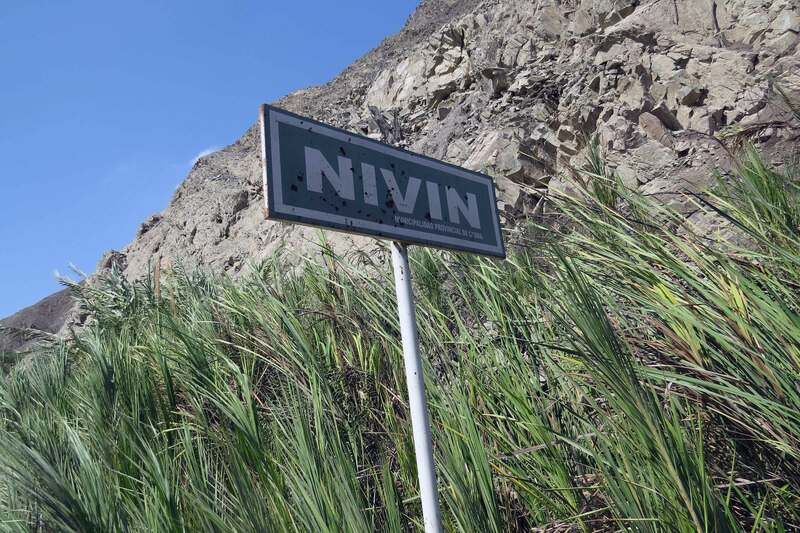 The perspective of the student who commented “Hualcayán was so great in prehistory, but look at it today” is as problematic as the looter who reduces the archaeological record to an economic resource whether in the highlands of Peru or the US. At my very first field school in 1986, my former mentor the late Dr. Patricia Essenpreis threw out the challenge that if we could not explain to the public why their tax dollars should support the archaeological research we were conducting we might as well go home. That is, did our work have value on the public land where we excavated or to the taxpayer who funded the research? At both Chucalissa and Hualcayán, I can answer Pat’s mandate with a strong yes. For me the genesis of that yes, began as a trade union activist when I learned to appreciate the value of listening and learning from the people in whose interest I wished to serve. That affirmation is found in working with the community and not for the community, a cornerstone of co-creative projects. Last summer the Peruvian co-director of PIARA, Elizabeth Cruzado Carranza, and I met with several teachers from the village school located in the rural Andes of Peru. An “expressed need” of the teachers was a resource that documented the history of the local community. If you agree with me that the oral history project is an exciting and innovative means to inform and educate rural communities about their rich cultural heritage, I ask that you consider making a donation to PIARA to help fund this stage of the project. We are optimistic about future funding, and have received some grant support already, but are in need of immediate contributions to complete this first stage. Your consideration of making a donation to PIARA in any amount, large or small, is greatly appreciated. 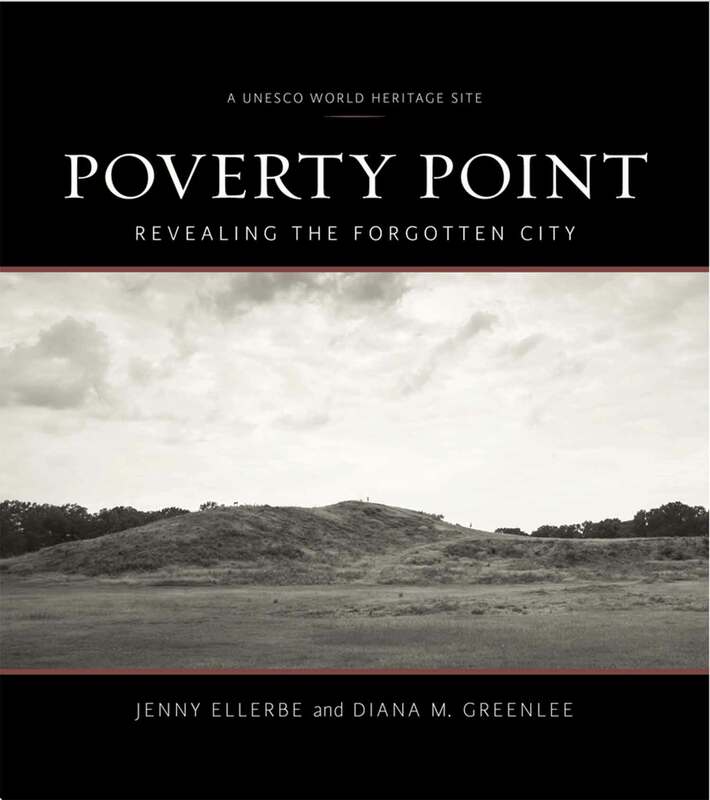 Poverty Point: Revealing the Forgotten City by Jenny Ellerbe and Diana Greenlee (2015, Louisiana State University Press) contains a set of photographs and essays on the 3500 year old prehistoric earthwork complex in northeast Louisiana, U.S., a recently designated World Heritage Site of the United Nations Educational, Scientific and Cultural Organization (UNESCO). The book is a model for how to engage multiple audiences with information about an archaeological site. About 100 photographs of the earthworks and artifacts taken over the last three years by northeast Louisiana native Jenny Ellerbe. As a fine art photographer, her images are creative, technically superb, and convey a strong sense of place. The total corpus of photographs provides a striking and comprehensive presentation of the physical site. Ms. Ellerbe is an accomplished artist. Nearly 20 maps and figures that both contextualize the Ellerbe photographs and provide LIDAR, topographic, and other locational information for the site complex. These images include site location, intra-site organization, mound form, and prehistoric raw material resources. In addition to images, each of the nearly 20 chapters contains essays by Ellerbe and Greenlee. Ms. Ellerbe writes from the perspective of a local resident fascinated with the prehistory of the region. As a lifelong resident of the region, she provides a critically important narrative about the place of Poverty Point that cannot be told and is simply not known by the archaeological community. Her perspective reflects a cultural heritage value that if adopted by Louisiana’s elected officials will lead to investing the necessary resources to preserve and present the Poverty Point earthworks in a manner appropriate to a UNESCO World Heritage Site. The essays by Diana Greenlee complete the presentation in a rather unique way. Dr. Greenlee is the Station Archaeologist at Poverty Point who has accomplished considerable scholarly research at the site over the past decade, including the World Heritage Site designation. For this book, her writing style is not that of a peer-reviewed journal, but is precisely the tone and content appropriate for a broader audience. Dr. Greenlee provides an ideal model for engaging the public in the science of her discipline. For example, she gives a complete and understandable account of the remote sensing investigations of the large circular features in the plaza of the earthwork. She details the physical difference between a posthole and a postmold and explains the interpretive significance of the distinction. A two-page glossary includes entries for artifact, LIDAR, radiocarbon dating, pump drill and more. Perhaps most refreshing is that Dr. Greenlee speaks with the authority of her position, but also leaves room for speculation and further questions. For example, she notes that many refer to the large Mound A as the Bird Mound, though she sees a mushroom (which I agree) but concludes “There is no way to know, though, if that’s what the builders of Mound A intended. We can only speculate” (p. 59). Or consider her reporting on recent research that suggests Mound A was built in 90 days. She fairly presents the researchers’ claims, but notes she remains skeptical. She writes “I think that additional research, looking at more or different samples, could shed light on the issue. This is how science works and knowledge advances. You have a question, you collect the data necessary to answer the question . . . Often, answering one question raises other questions” (p. 60). How incredibly refreshing and such an instructive and inviting representation of archaeological research! I thoroughly enjoyed Poverty Point: Revealing the Forgotten City. The photos are beautiful and instructive. The text illustrates the value of the earthwork from multiple perspectives in a manner that will be enjoyed and appreciated by the general public and the archaeological community. 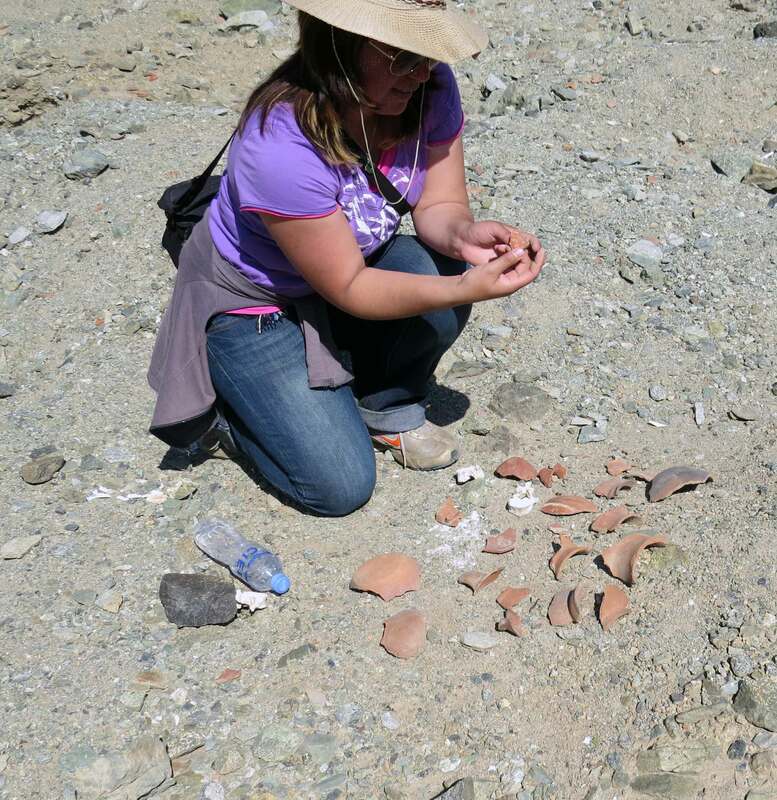 Jenny Ellerbe and Diana Greenlee do not talk to separate audiences but to all audiences – an impressive accomplishment and a true model for how archaeological research can be presented to maximize its value. The $39.95 LSU Press price ($28.45 at amazon.com) is the only drawback from a wide distribution of the volume. Hopefully, a less expensive paperback will be forthcoming.